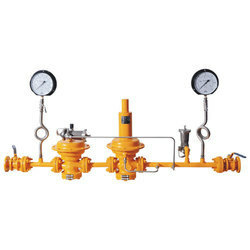 Our company has gained expertise in the manufacturing, supplying, trading and exporting of Gas Pressure Regulators such as Gas Saver, LPG Cylinder Valve, LPG Kits, LPG Pipe, LPG Solenoid Valves, LPG Valves and Ring Burner. True to their name, these gas pressure regulators provide excellent protection to the gases and have several security features. In addition to this, these are offered at leading industrial prices to our clients. 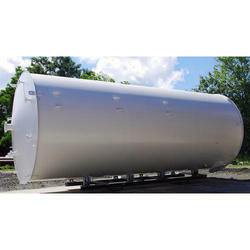 Fuel storage tanks are one of the very efficient and exclusive quality products from our company which we are providing our clients at a very affordable price. Our company with its past several years of successful services has made a renowned name and fame in the industry and are engaged in the manufacture, supply and providing the services for various kinds of industrial equipments. These fuel storage tanks are very much efficient and reliable for its use in several kinds of industries. Our fuel storage tanks are widely used and appreciated in several regions of the country as well as other countries. We feel proud to introduce ourselves as the leading organization in this domain, engaged in offering an excellent grade of Pressure Reducing Station, (PRS, PRV Station). Our deft professionals who have years of experience in the industry design, install and operate the steam pressure reducing station for the clients. Clients' people are trained on handling the station to avoid any accident and improve the production capacity by handling the developing pressure inside the system. Real-time solutions and troubleshooting is provided without encouraging any downtime to the clients.